I’ve mentioned a few times my longing to go to Paris. In fact I’ve only been to France once, aged 15 for a kayaking holiday which wasn’t exactly a cultural delight. It was mostly shrieking teenagers and French men in speedos. It has to happen one day. Right? But until then I can settle for bulk ordering fabric from Anna Ka Bazaar. I ordered this beautiful Atelier Brunette Eiffel Tower print along with some geometric polyester earlier this year. Postage was a smidge higher than I would like but I talked myself into it. You also get a 10% discount code by joining the newsletter. It arrived a lot quicker than the estimated time. 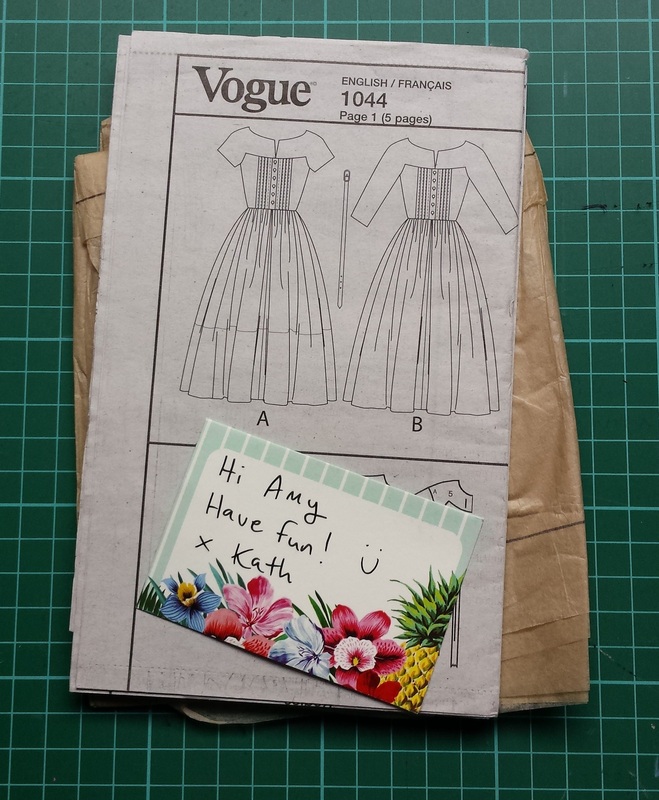 Even though the weather isnt cooperating I decided to dig out the Vogue 1102 pattern from the John Lewis sewing bee day. It was such a wonderful surprise when the bodice almost fit me out the envelope (that never happens to me) and I much prefer single waist darts over bust and waist darts when you have a printed fabric. I’ve paired it with a gathered skirt instead of a circle this time. I altered the back bodice and made a new facing using the Simple Sew Ruby dress back pieces as a guide and thankfully it worked first time without any gaping. There are some small diagonal drag lines but I didn’t get those on my muslin so what’s a girl to do!? 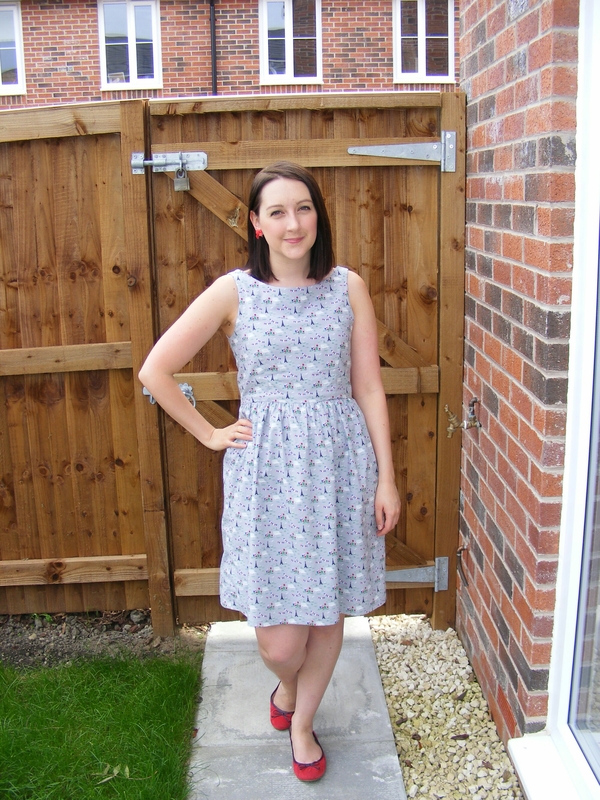 Unlike my JL daisy chain dress I used the facings AND I lined the whole thing. The idea came from Marrie B actually. And it meant I got to use a ludicrous teal viscose lining without risking unwanted peeking. I’m not sure it’s a very flattering colour on me but I dont really care since the print is fun. 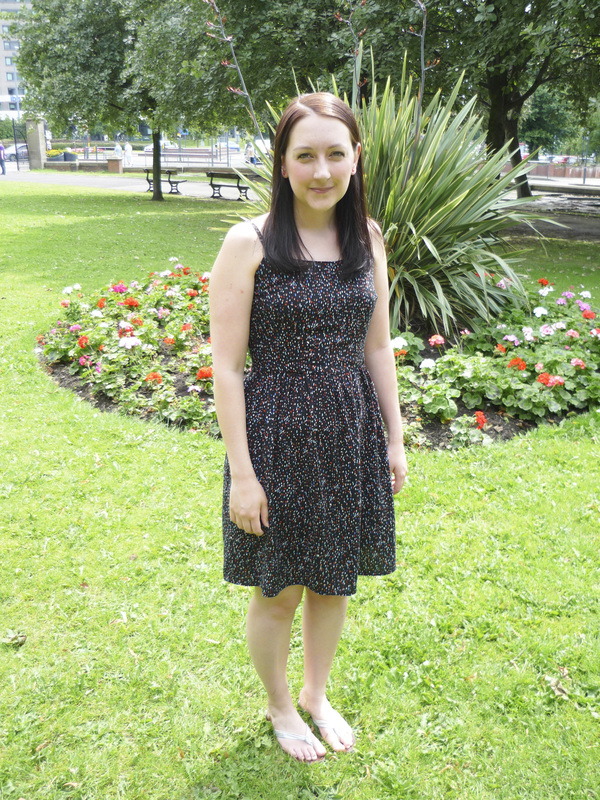 Since taking these photos I’ve been wearing the dress with a belt which looks better. It’s had a fair few outings and know it will be regularly worn next year! And I’m not happy about it. But at least I’ve got a snuggly sweatshirt to keep warm with. This is the White Russian by Capital Chic Patterns. As soon as I saw this pattern my eyes popped out. I knew I’d be making it when the weather turned. 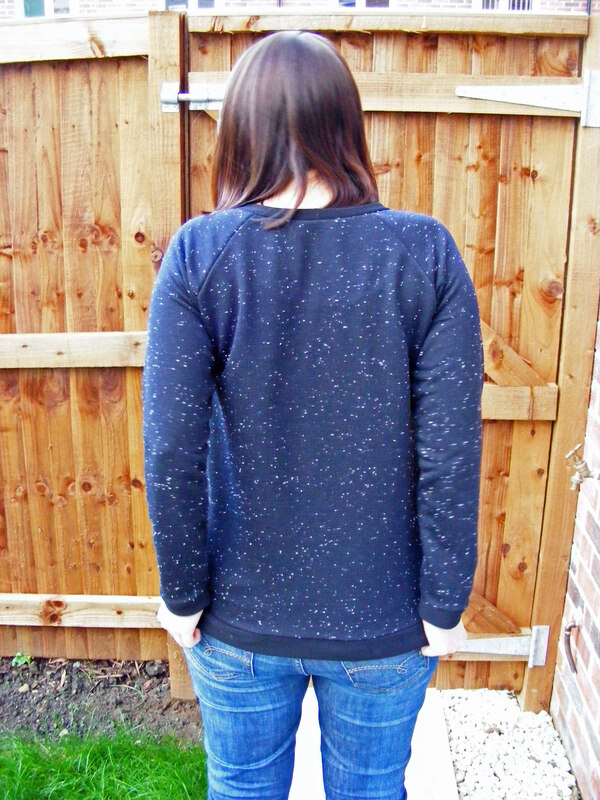 I used this amazing flecked sweatshirt fabric from Minerva Crafts — seen previously by Rach here and Katie here. It’s sold out in black but also comes in burgundy. Yummy. Buying ribbed fabric by the length is so much easier; it’s not as thick as packaged ribbing but I like it that way. 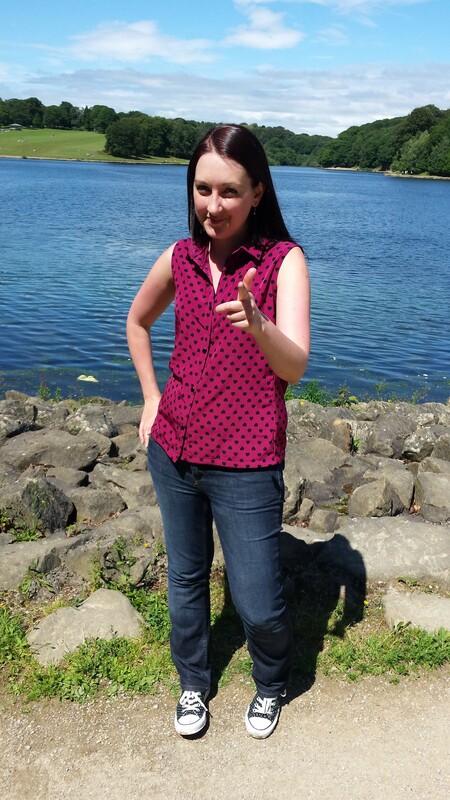 You’ll notice I shortened the height of the cuffs, neckband and hems. I prefer them being thinner and less obvious. I did this by eyeballing what looked better to me. I used half a metre of the ribbing and it was just enough to cut the bands to the size 12 pattern pieces. If you wanted to cut a bigger pattern size you’ll need more of this but it’s pretty bargainous. 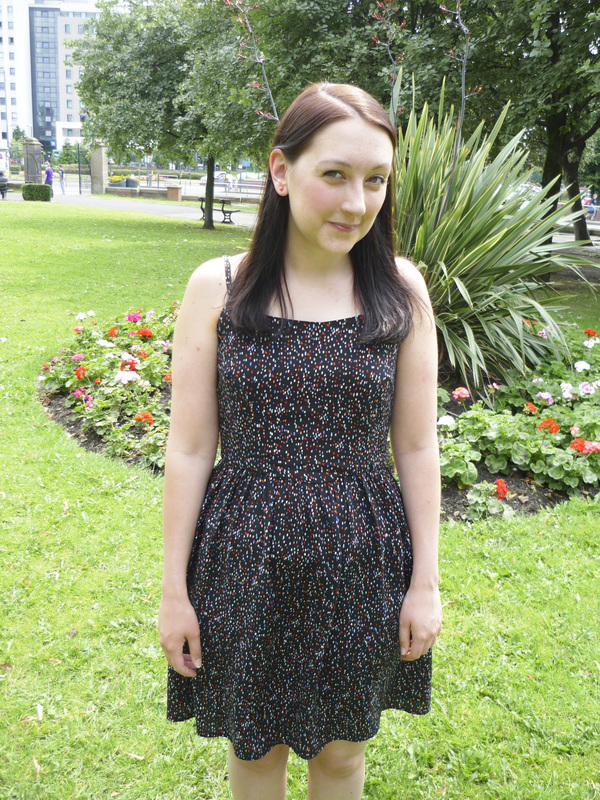 I sewed this up using the overlock stitch on my sewing machine as my overlocker is poorly. It uses one needle and stitches a clever little seam about 5mm wide made up of two stitch types on top of each other. It’s quite a slow stitch basically. But even with that, this took only three hours to make! So there you have it. Snuggly and quick to sew, what more could you ask for!? Yeeehaw! I’m back with another finished make. It’s not as all singing and dancing as the last dress but please don’t hold that against me. 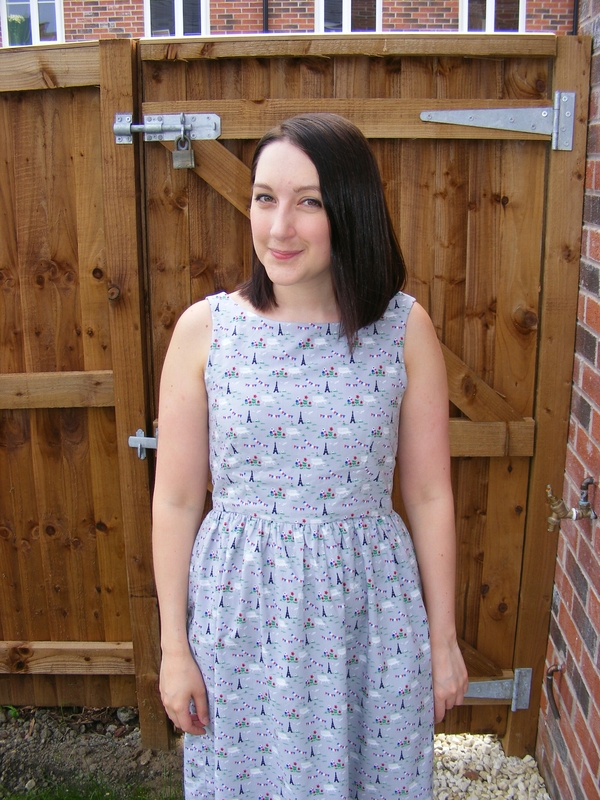 This is actually a dress I made last year but for some reason never got round to blogging about it! The pattern is the Dixie DIY Ballet Dress. 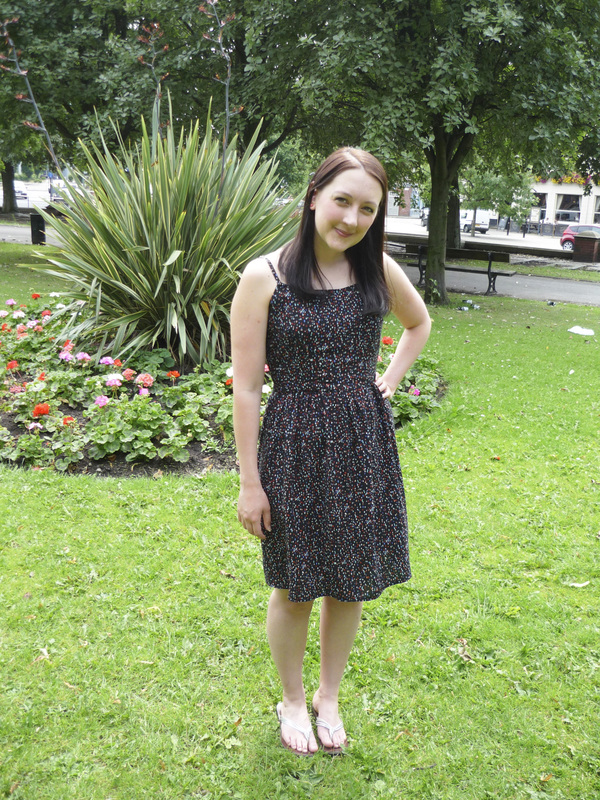 Super simple and easy to sew knit-dress. It has three-quarter length sleeves, scoop neck and semi-circle skirt. Available as a PDF for instant download (cue lots of printing, cutting and gluing). Hmmmm you might say, this pattern looks mightily similar to the Kitschycoo Lady Skater pattern. Well I thought that too. Didn’t seem to be that much in it so I pretty much just took a gamble on the Dixie version. 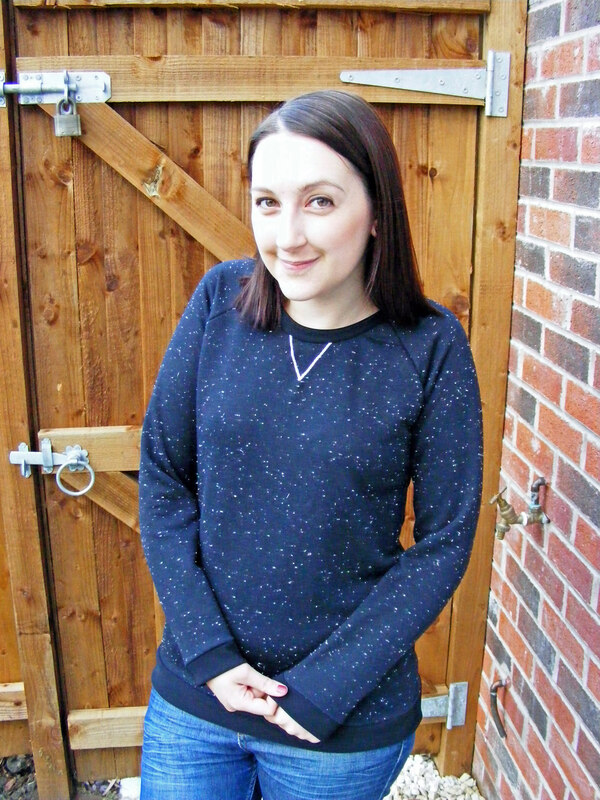 I used this brilliant jersey knit with horse print that I bought when I saw a fellow blogger’s (sadly she’s stopped blogging) day-to-night dress. It’s from the incomparable Fabricland. If you haven’t looked at that site, brave yourself before you click through. WOOOEEEEE! Here are a few more details: I constructed this on my Toyota machine using a zigzag stitch and finished the seams on my old babylock (told you it was made a while ago). I then turned all my hems under and stitched to finish them. I like wearing it with a belt so you can’t see all the misshapen half horses at the waist seam. The waist is just a little high on me but I am pretty short-waisted so wonder how it might sit on regular people. I wasn’t keen on the shape of this dress for a long time but it’s just so bloody comfy and warm to wear. I’m sure I’ll be making another one soon! You won’t believe how long I’ve been waiting for August 2014. It’s a month of two major events – first, it’s my 30th birthday. (Today in fact) Huzzah! And second, I’m moving to my new home and getting a sewing room. I am VERY excited. 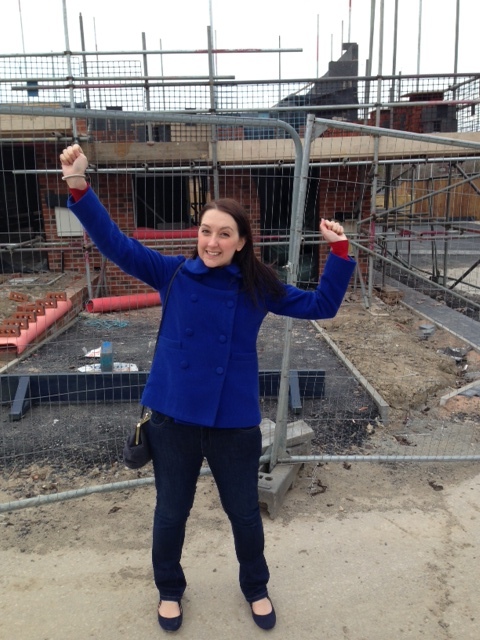 I hope you can sense a bottled up giddiness in my photos; take a look and see if you can catch the twinkle in my eye. So for my August Minerva make I wanted to make a strappy sundress; I mean can you blame me given the weather we were having? there are so many good colours in their I can wear a wild variety of coordinating clothes and accessories. I’ve even used this fabric before on a dress, that’s how much I love it. I have TWO dresses in my wardrobe in it now. 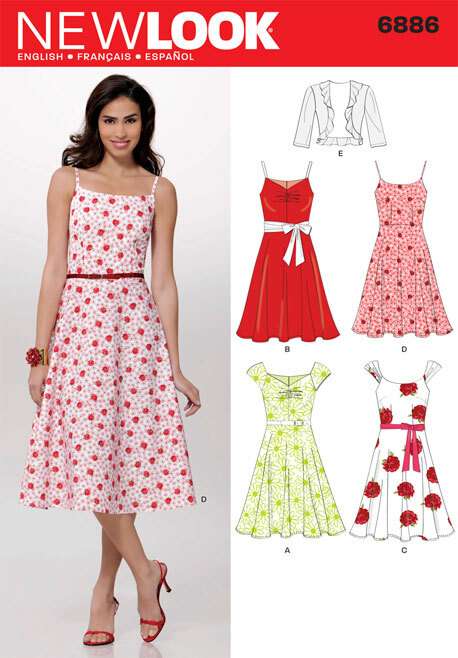 The dress pattern used is New Look 6886 which is a great staple sundress pattern with several cute variations. I was very tempted to use gathers around the bust but in the end went plain and simple with view D.
The bodice is self-lined, and I inserted a lapped zipper (as I’m done with my invisible zipper obsession now) plus as an interesting touch I used a slider set to make the straps adjustable. This is something I’ve always loved about ready to wear clothes because I have one shoulder lower than the other and even though I try so hard, fitting straps on myself isn’t 100% fool-proof. These nifty sliders are cheap to buy and come in packs of 10, in black/white/transparent. Doing this will mean a couple of changes from the pattern pieces and a little extra effort – first you’ll extend your strap piece to cut a much longer strap, then you’ll make a very short strap about 3 – 4 inches long. You should bring out a bra to sit next to you as you sew to compare how the straps feed through the loops. I absolutely adore this finished dress and feel wonderful in it. It’s been worn every week since I finished it. 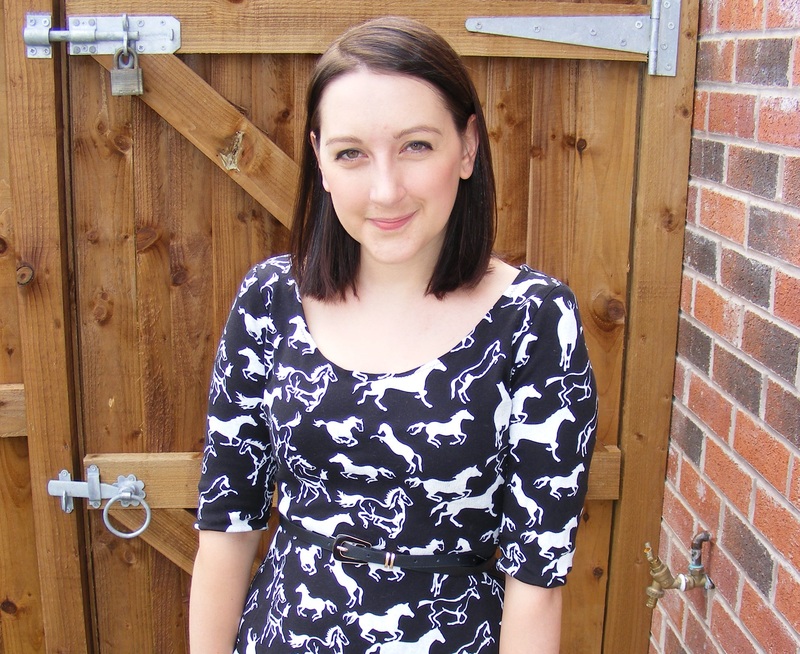 What’s a blog hop when it’s at home!? 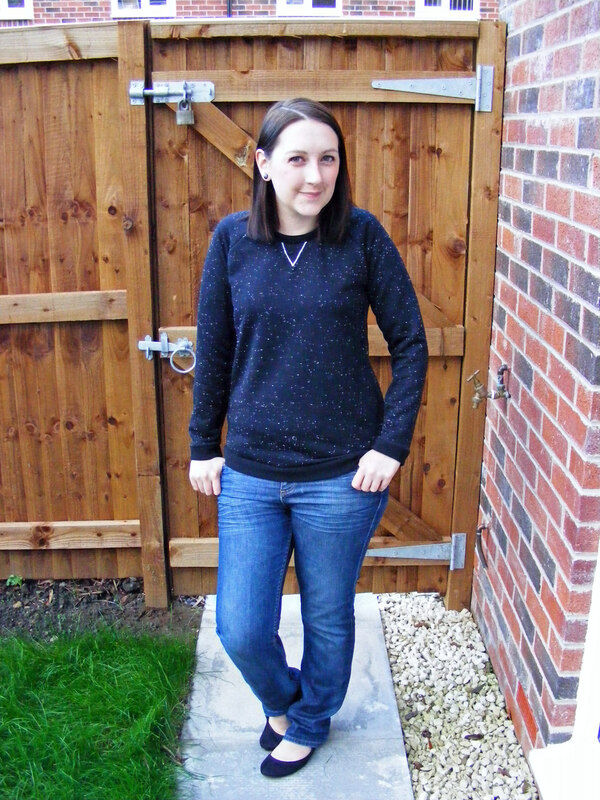 It’s like a massive conga line of bloggy fun, that’s what! Trace it back to the start if you dare. 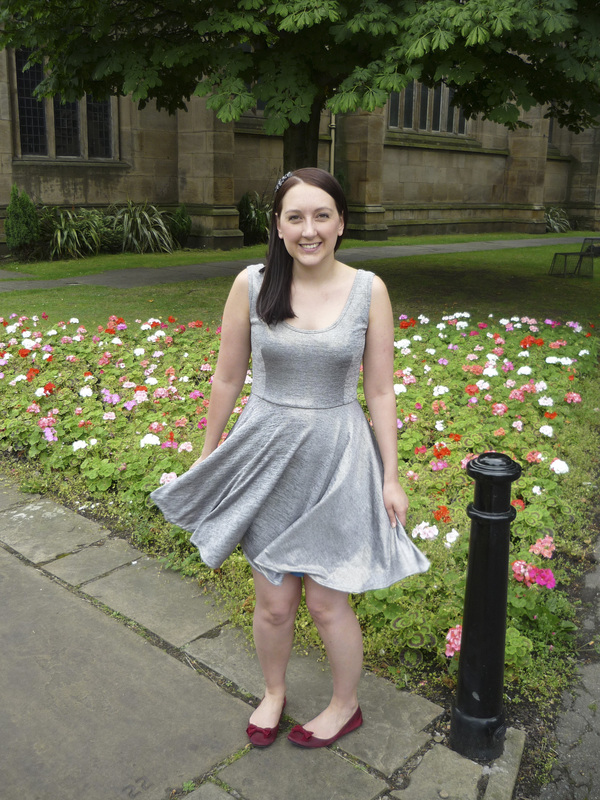 I have been nominated by Louise of Sew Sensational to keep the party going. Louise is a fellow Minerva blogger and a total sweetheart. And I’m not biased just because she’s from Leeds. The premise is simple. Answer a few fun questions then shake your hips and name two more conga buddies to take over from you. Deep breath and here we go! I need this blog to prove to myself and to some degree the world that I have dedication and commitment to sewing, that my sewing skills and the quality of my projects are improving, and to create visible proof that I’m doing something I’m proud to share with others. Plus blogging is pretty fun right? 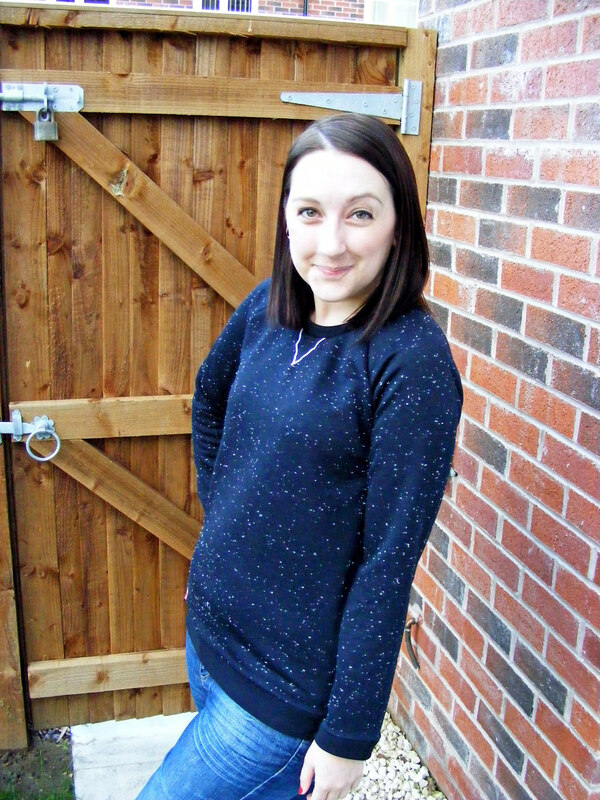 So many sewing, blogging and personal goals are bouncing around in my head these days. I always have sewing projects queued up. My list could take up several years. But this year I definitely want to complete an advanced vintage pattern to as high standard as I can manage. I’ve been plugging away with this a little every night, hoping that patience can yield amazing results. You should see the final dress in mid-Sept.
Also, I coded my site after teaching myself css and really want to improve on it with a better gallery and improved header art. I don’t even care if most readers never click through to my browser because they’re happily followng me in a reader, I’m redesigning for me! Finally when we move into our new home later this month I want to make sure I enjoy being in our new space as much as possible. I want to decorate and have friends round. We’ll be enjoying lazy sunny mornings, epic cooking sessions and post-work swims at the nearby pool. Life isn’t just for sewing and blogging! How does your blog differ from others of its genre? This is a bit tricky as the premise of many sewing blogs is the same. I think there are two things that I’m proud of myself for doing. Firstly I choose sewing patterns that aren’t that popular. Either they have ugly pattern art or have been out of print for years or have somehow missed the attention they deserve.. But I don’t care because I can see they are hidden gems. I suppose it doesn’t make me unique but I generally try and keep my blog happy. There’s so much in life to get down about, I like this little corner of the Internet to feel good about what I’m doing. It’s bright and colourful and has subtle (and not so subtle) attempts at humour and I hope people enjoy reading it. My commute is two hours long; that’s usually the perfect time for me write, edit and schedule blog posts. Except for when the signal cuts out and you can’t save your changes — WHY SO MANY TUNNELS! I like to post at least once a week, but that might be on any day I choose. 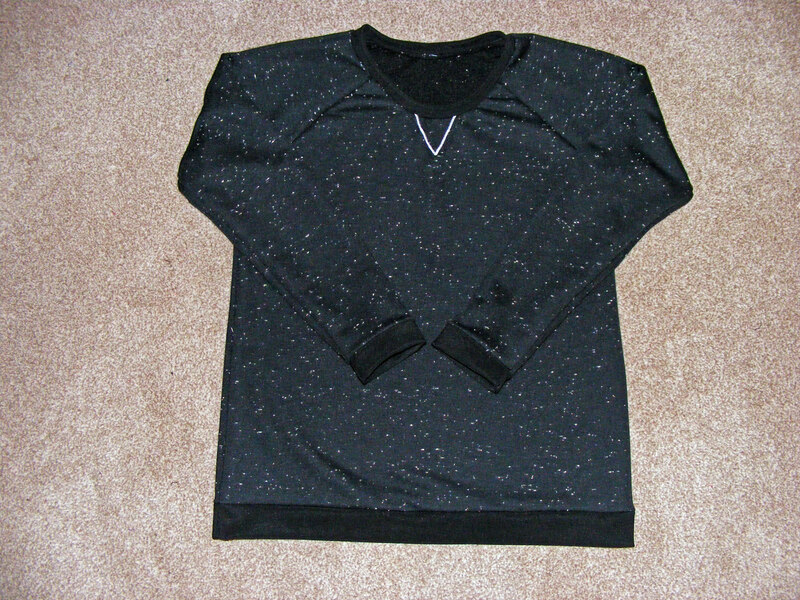 Usually I’m sharing a finished garment. My drafts folder contains a series of article-style posts that I know I can call on when I don’t have a garment to share but mostly I’m just winging it. Phew. So there you have it! My answers. Thanks so much to Louise for nominating me. Now it’s my turn to nominate some lovely blogs to continue hopping. 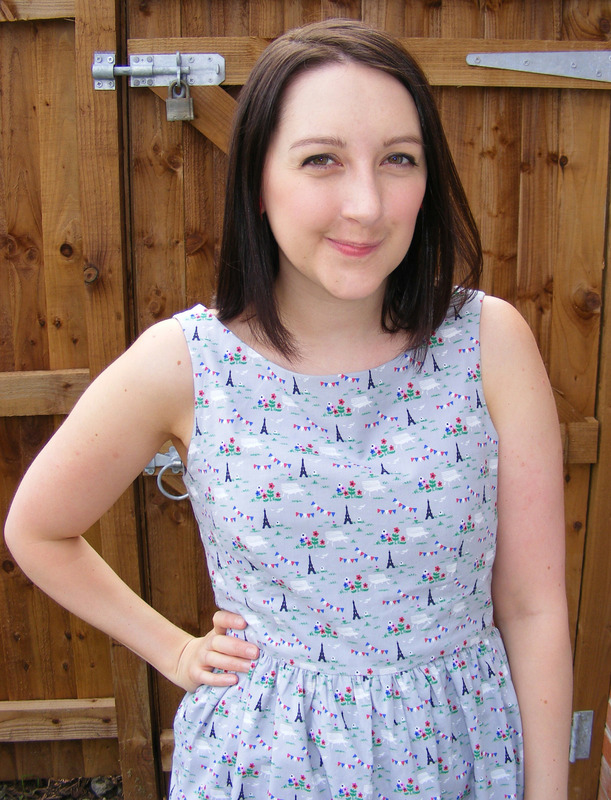 First up is the lovely Marie of A Stitching Odyssey. I’m so pleased sewing has introduced me to this lovely lady, she really is a good friend now and although I’m still a little in awe of her sometimes, she doesn’t seem to mind. She crafts beautiful clothes and always talks absolute sense. 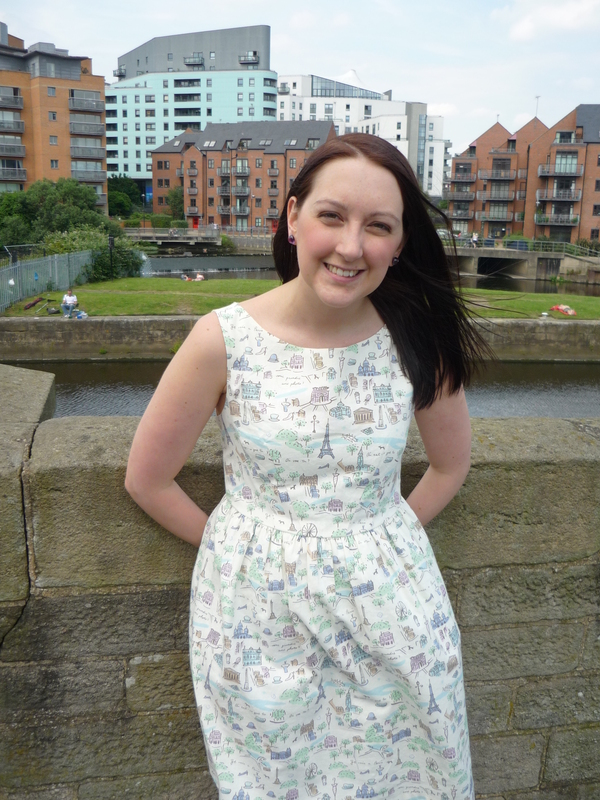 My second nominee is Helen of Mancunian Vintage. 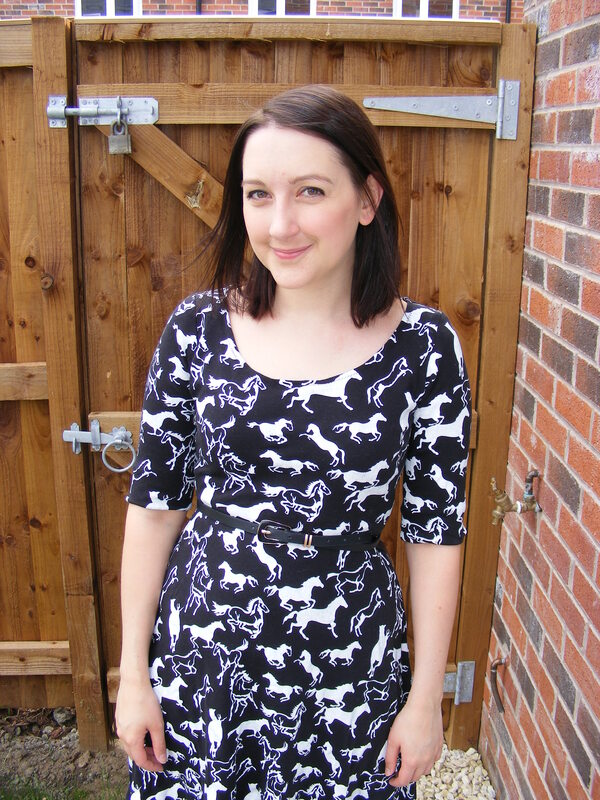 I love Helen’s approach to wearing vintage clothing and she even sews a bit too. She’s always a great source of Northern inspiration. But hold on! She’s about to move down South! How ever will I cope!? Well I’m sure she’ll do great things down there as she did in Manchester. Check out these fabulous ladies and the next posts in the hop on August 18th!